Prolotherapy treatment is a natural non-surgical method of assisting the body to heal injured or weakened joints, ligaments and tendons. With Prolotherapy (also called Dextrose Prolotherapy), the weakened areas are injected with a solution that stimulates the growth of healthy, strong tissues. As the tendons and ligaments grow stronger and vibrant, the pain is alleviated and motion is restored. Whether a joint, ligament or tendon is causing you pain or limited movement, Prolotherapy might be the right choice for you. Prolotherapy can help with arthritis, knee injuries, tendinitis (tennis elbow), hip dysfunction, bulging discs, lumbar or cervical spine instability, bursitis, ACL Tears, rotator cuff injuries and more. You might wonder why you still have pain in an injured area or why that area remains weak, even after a healing period of weeks, months or years. The answer lies in the fact that both ligaments and tendons have very poor circulation and it is this lack of blood supply which deprives them of the nutrients they need to heal properly. These weakened areas may have little or no blood flow, but they have lots of nerves. That’s why you may feel a significant amount of pain. Relaxed and weak ligaments lead to increased cartilage degeneration and finally bone-on-bone friction, which may result in arthritis type pain. Additionally, nerves around the soft tissues become stretched and irritated, also producing pain. What is Prolotherapy Treatment Like? 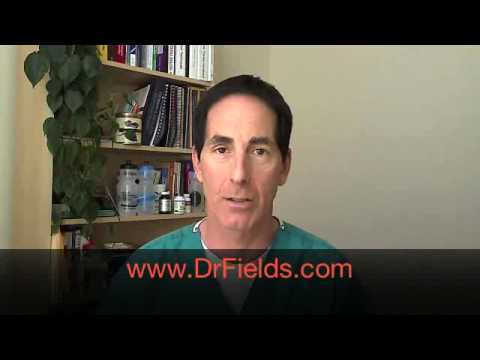 Video: What is Prolotherapy Treatment? Are You A Candidate for Prolotherapy Treatment? Call 424-325-6695 today for a free phone consultation with Dr. Peter Fields to see if Prolotherapy treatment can get you pain free and ‘back in the game’ or help you resume your normal lifestyle. You can also contact Dr. Fields' office to set up an in-person consultation.